To make a puffy taco shell, you use masa to make a round tortilla and deep fry it in hot oil. While it's frying, you gently poke a spatula into the tortilla so the sides fold up similar to the shape of a traditional hard taco shell. Use your spatula to splash a little oil to the top of the tortilla, which will help it puff up. You have to be careful that the tortilla does't break apart in the oil, but it wonÃ¢t take long for you to get the hang of it. When the taco is done cooking, remove it from the oil, drain it, and it's ready to be filled. You can fill a puffy taco with ingredients similar to hard-shelled tacos, or make your own meat and vegetable combinations. Puffy tacos are popular in Mexican restaurants in Texas and California and have been featured on the Food Network. And the Puffy Taco is a mascot for the San Antonio Missions Baseball Team. 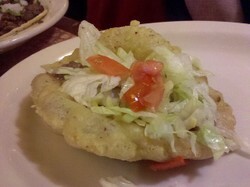 Puffy Taco at At Los Barrios in San Antonio. Masa is Spanish for dough, but in Mexico it sometimes refers to cornmeal dough (masa de maíz in Spanish). 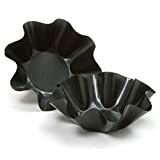 It is used for making tortillas, tamales and other Mexican or Latin American dishes. The dried and powdered form is called masa de harina (masa harina). Fresh masa is sold refrigerated in Mexican markets and some grocery stores in the U.S. Southwest. But masa de harina is a good substitute. Don't substitute corn meal, corn flour, or wheat flour for masa harina. They won't produce the same results. You can buy ORGANIC YELLOW CORN MASA online with no GMOs and of course, no gluten since it is not a wheat product. Do You Like to Try Regional Foods? Yes, I love to stop at local restaurants when I travel. No, I prefer to eat at restaurant chains. I love watching cooking shows but don't like to try new foods. I like to cook and will try new recipes. I just eat whatever is available. The San Antonio Missions Minor League ball team’s official mascot is “Ballapeño,” a costumed jalapeño pepper, but “Henry the Puffy Taco” is another mascot especially for the children. A young fan is chosen from the spectators and he must beat Henry to home plate to win a free dinner for the family. It has become a tradition to tackle Henry between third base and home plate. 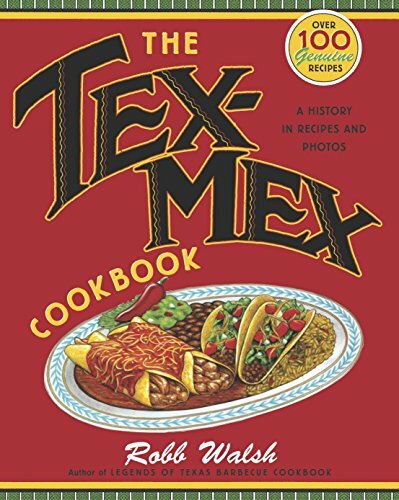 From the Mexican pioneers of the sixteenth century, who first brought horses and cattle to Texas, to the Spanish mission era when cumin and garlic were introduced, to the 1890s when the Chile Queens of San Antonio sold their peppery stews to gringos like O. Henry and Ambrose Bierce, and through the chili gravy, combination plates, crispy tacos, and frozen margaritas of the 20th century, all the way to the nuevo fried oyster nachos and vegetarian chorizo of today, here is the history of Tex-Mex in more than 100 recipes and 150 photos. 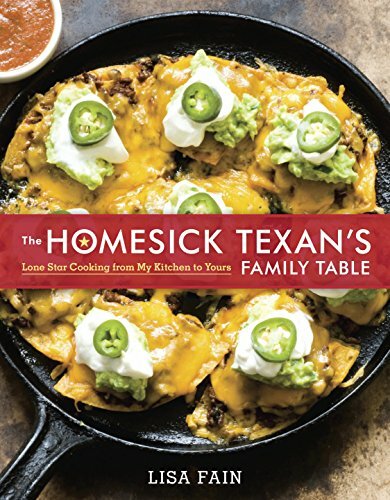 Rolled, folded, and stacked enchiladas, old-fashioned puffy tacos, sizzling fajitas, truck-stop chili, frozen margaritas, Frito™ Pie, and much, much more, are all here in easy-to-follow recipes for home cooks." Lisa Fain, a seventh-generation Texan loves to cook and serve up the best dishes her home state has to offer—even though she now lives half a country away. All of Lisa’s recipes are made with fresh, seasonal ingredients, yet still packed with real Texas flavor that will make your grandmother smile. Whether you’re looking for a party-friendly snack like Pigs in Jalapeño Blankets, a Mustard Coleslaw to bring as a side to your next potluck, a weeknight- and family-friendly meal like Steak Fingers with Cream Gravy, or a mouthwatering dessert like Ruby Red Grapefruit and Pecan Sheet Cake, The Homesick Texan’s Family Table has you covered. Diana Barrios-Treviño is the owner of two Mexican food restaurants in San Antonio, TX; La Hacienda and Los Barrios. She and her family have perfected puffy tacos over the years. Every year the White House sponsors an annual congressional picnic for members of congress and their families. In 2010, the event featured foods from five regions and Diana was chosen to represent the Southwest. The Treviño Family went to Washington D.C. and Diana cooked her famous Puffy Tacos on the White House lawn at the “Taste of the States” event. Diana also made puffy tacos on Throwdown with Bobby Flay, View Video Here. Photo of puffy tacos by elton on flickr. I usually don't go to fast food restaurants, but I don't think they do. If it is on the menu, however, I don't think it would be an authentic puffy taco. You have to cook the taco shell in hot oil one at a time, so I don't think that would fit into a fast food menu. AngelaJohnson, Thank you for the backstory and product lines. Do you know if any Taco Bells serve puffy tacos?